The Upgrade Place Blog | Technology News on Computer Memory, Storage Drives, and more. 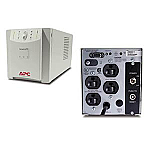 : Trade-in your older battery backup units for the most up-to-date power protection models! Trade-in your older battery backup units for the most up-to-date power protection models! * Trade in old UPS units regardless of Brand, for a credit towards a new APC UPS with a full 2 year warranty. See All UPS Back Up Batteries Here!